Click on the appropriate tab to discover how Air Zone International can work for you. Air Zone International’s line of column units can increase your net useable square footage by requiring much smaller mechanical closets than conventional horizontal air handling equipment. Our underfloor air systems are much quieter than conventional overhead systems. Our air column units are so quiet, the tenants won’t even know that they are operating! Compare the initial investment in an underfloor air system to the amount of energy and money you save throughout the building’s life cycle. We build with nationally recognized components to your project’s specifications to achieve less mistakes and less maintenance after installation. Air Zone International is a market leader of the “Green” initiative with underfloor air distribution systems. Learn how going green and underfloor can benefit you. Read other Building Owner’s most Frequently Asked Questions or submit your own. In addition to underfloor air systems being much quieter than conventional overhead systems, our air column units are so quiet the tenants won’t even know that they are running! Lowering the raised floor height improves walkability and reduces the sound reverberation sometimes heard while walking on raised floors. Superior appearance, performance, and exceptional air flow characteristics. Air Zone International provides what you’re looking for in Floor Diffusers. Air Zone International is leading the “Green” initiative with underfloor air distribution systems. Learn how going green and underfloor benefits you. Read other Architect’s most Frequently Asked Questions or submit your own. Air Zone offers a true thermal break design with either a 2" or 4" Double Wall Septum Design Casing. View our proprietary design of the access door, base and thru-wall construction. Real Estate is expensive, and every square foot matters. Air Zone International’s line of column units can increase your client’s net useable square footage by requiring much smaller mechanical closets than conventional horizontal air handling equipment. Air Zone equipment works well without any underfloor ductwork, provided that the column units are located in the proper location relative to the building floor characteristics. Lowering the raised floor height improves walk ability and reduces the sound reverberation sometimes heard while walking on raised floors. Using Air Zone column units without underfloor ductwork will result in even lower static pressures due to our efficient cabinet design and direct drive plenum fan. Looking for a system that works well with Economizer Systems? Air Zone International has what you need. Read other Engineer’s most Frequently Asked Questions or submit your own. We understand how important accurate submittals are to keep the project flow moving. As such, our dedicated staff of engineers can turn submittal packages around in a timely manner. Due to the custom nature of our design, submittal documents are carefully constructed for each individual project. Air Zone is customer focused, and we pride ourselves on meeting customer deadlines. We have considerable experience with large projects and have successfully met challenging time requirements. We deliver what we say. Air Zone’s column units are designed for ease of installation. Compare the initial investment in an underfloor air system to the amount of energy and money you save throughout the product’s life cycle. Air Zone’s column units, when located correctly in the space, result in an underfloor system that is void of underfloor ductwork. In addition to underfloor air systems being much quieter than conventional overhead systems, our air column units are so quiet the tenants won’t even know that they are operating! Fast installation is key to you. That’s why Air Zone International builds to provide systems that can be installed faster to save you time. Air Zone International is leading the “Green” initiative with underfloor air distribution systems. Learn how going underfloor benefits you. Prominent International Organizations that develop use Air Zone’s Air Handling Units for energy efficiency, cleaner air quality, and optimized personal comfort. What does it take for the country's fourth largest city to "go green?" Andy Bergman from the Greater Houston Partnership talked about it on FOX 26 Morning News. It turns out that how your workplace is designed makes a huge difference. 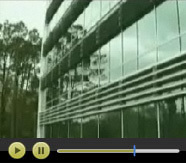 See a new "green" building in west Houston that is helping employees breathe easier at work. Office Towers and many other buildings went dark on April 24th, 2009. Air Zone was proud to be an organizing sponsor for the event. The city skyline is about to get a lot darker, and it's all for a good cause. Learn about a unique plan to save some energy and over one million dollars.